There's a new family friendly fun in the sun race coming to St Pete next month! 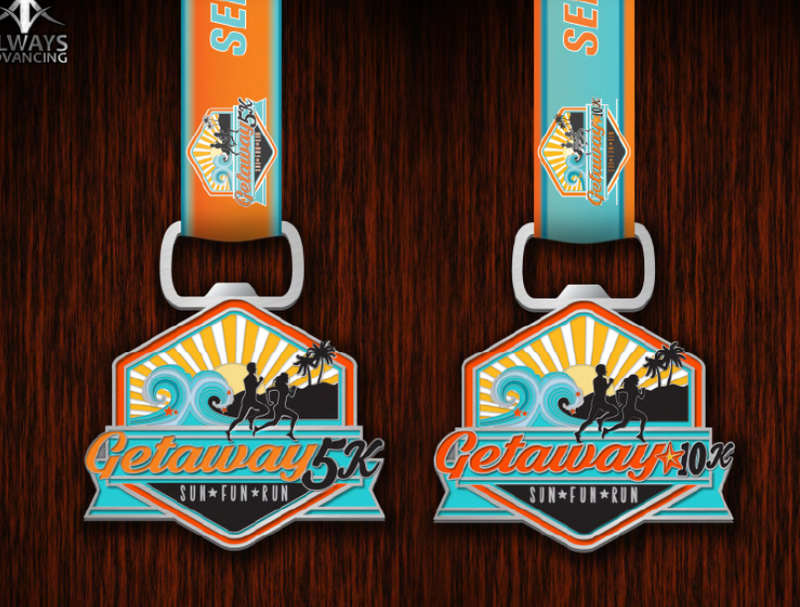 The Getaway 5K, 10K, one miler and family Fun run will take place November 5th at Albert Whitted Park. Following the race will follow the Sun Fun Run theme with a beach-themed post-race celebration. You can expect live music, food, beverages, vendors and a play area for kids. Plus the series is donating to Feeding Tampa Bay to assist in building back the food banks in the areas after the recent hurricanes. You know I am all about the bling. This one is one of the nicest 5K/10K Medals I have seen. It's larger than most Half Marathon medals I own and doubles as a beer opener, which has a magnet on the back! When signing up for the Getaway race series, you can make a donation to Feeding Tampa Bay. The Getaway series is matching donations and will assist on restocking the foodbanks across the bay after our recent Hurricanes. All courses will have the same start and finish line in Albert Whitted Park! The courses run along Tampa Bay with beautiful views of the water with Tampa in the distance. The timed 10K run will start and finish at Albert Whitted Park. 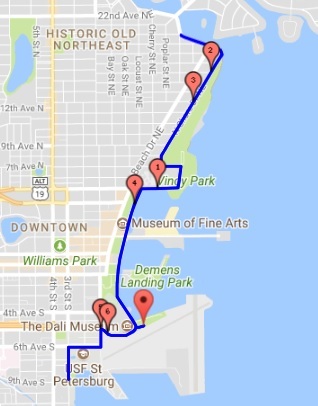 The route will travel an out-and-back course in beautiful, downtown St. Pete. 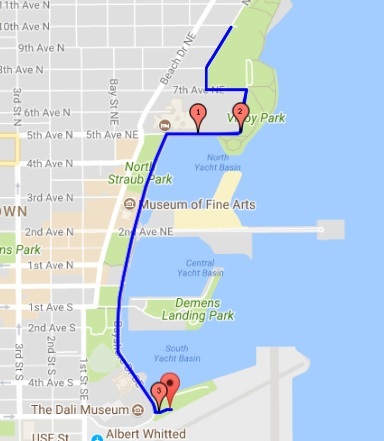 Participants will run along the water, past the 5K turnaround point, before returning to Albert Whitted Park for the finish line and the post-event party. The 10K will have three water stops on course with water and Gatorade product. All ages welcome! I've been blessed to do many races over the past years including international and the majors. 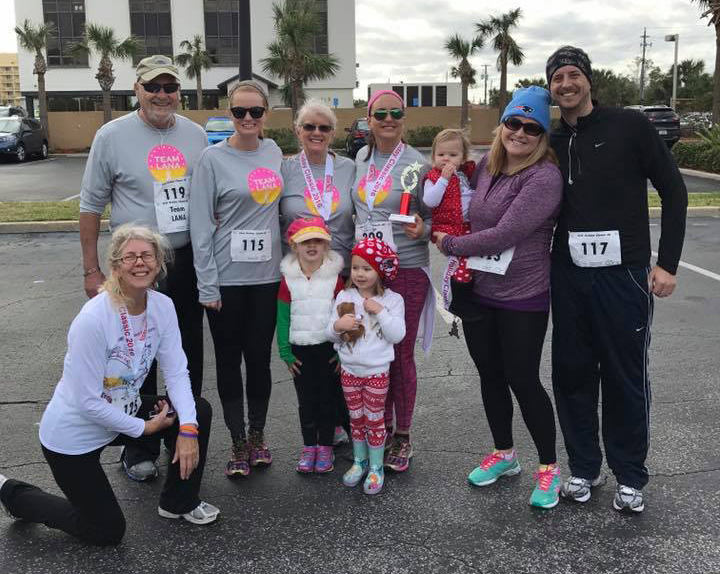 One of my favorite experiences however was a small town 5K which I did with my family. There were about 25 of us, ranging in ages of 2 to 70. Some walked, some ran and some pushed strollers. Overall, it was the best time I've had on any race course in quite sometime. It was all about the experience. This is a great opportunity to check out a new race series, collect an amazing medal and bring home some gear. Registration prices will go up soon. 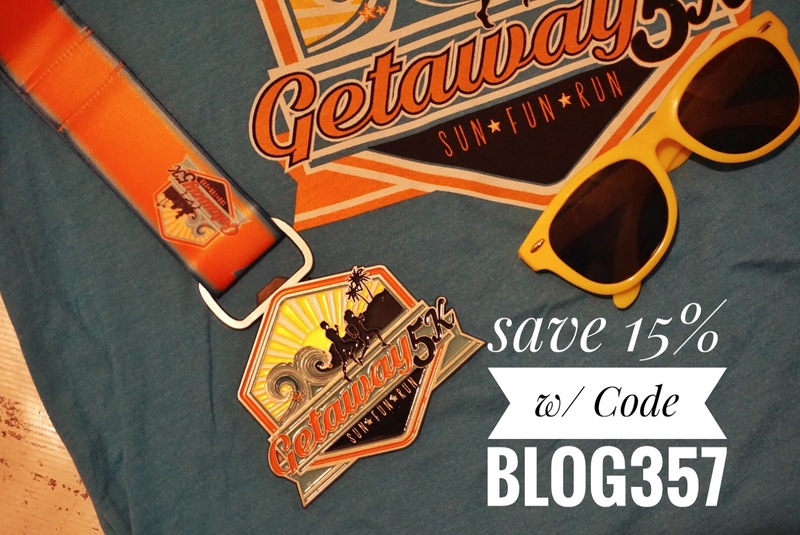 Remember to use code Blog357 & Click here to register for the The Getaway 5K.